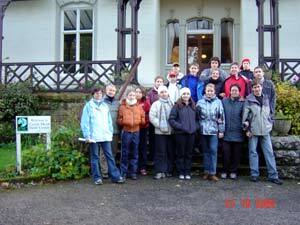 In October 2004 Association Ecosystem arranged the visit of the Moscow city school # 1205 to the Castle Head Field Centre. The group consists from 16 students 13-16 years old, two school teachers (Nadejda Petrushina) and two Ecosystem's teachers. This trip was the first that initiated the long-term cooperation between school #1205 and Field Studies Council. The Centre includes an impressive Georgian house built by John Wilkinson, the Iron Master, which is enhanced by a Victorian verandah. Before the visit we agreed about the studying program in the Centre. Each days began from the short classroom lecture, than we went out-doors and spent there the most part of the day. The program was highly advanced because all children have already passed the educational program at the Moscow Field Ecology Centre. Castle Head Field Centre lies between the fells of the Lake District and the shores of Morecambe Bay, in a secluded corner of north west England. Surrounded by its 20 hectares of grounds, Castle Head presents a sanctuary from the hustle and bustle of everyday life. 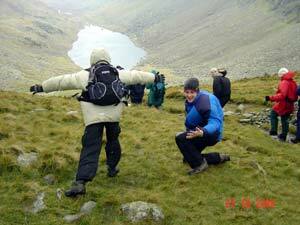 We had many field excursions in the surroundings of the Centre, as well as far full-day mountain trips. The environs of Castle Head provide an unparalleled range of habitats including salt marshes, sand dunes, tidal rivers, freshwater lakes and rivers, moorlands, high fell, limestone pavement and cliffs, and varieties of woodland and grassland. For geographers there are opportunities to study upland glaciation, soils, ecosystems, agriculture, settlements and hydrology. The most interesting our mountain trip was to the bold tops of the Lake District National Park. 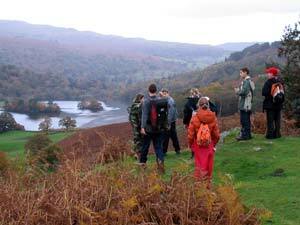 Except advanced field ecology activities we also participate in the Eco Adventure program. 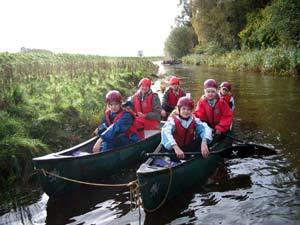 These activities are designed to gain confidence and promote team building skills in the group. 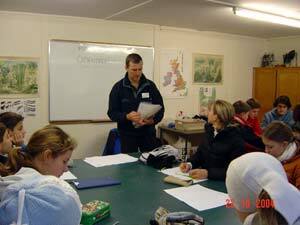 The majority of Eco Adventure activities were based in the Centre grounds. Some of the most interesting for our kids were climbing and canoeing (right).